If you love music, an impressive stereo system is one of the essentials for your car. For many people, they won’t mind spending a lot just to make sure that they will have state-of-the-art stereo system. With the latter, you can give your dashboard not only a dapper look, but you will also be able to enjoy a better audio experience. Road trip with friends or getting stuck in traffic will never be the same as you get to enjoy good music, allowing you to hear even the smallest details from every sound being played. A lot of people may instantly shun the idea of replacing their car stereo because of one thing – cost. There is often a misconception that it is going to require a fortune. Yes, it can be costly, especially if you opt to use premium brands for your stereo system. However, you can do it gradually. You can replace one part first and save up for the next ones. Also, if you only know where to look, you can find high-quality components at an affordable price. Thinking of upgrading your car stereo system? Keep on reading and we will provide you with some tips on how exactly this can be done. One of the first things that you should do is to find a replacement of the current factory receiver that is installed in your car. Factory radios are known for being basic in terms of function, and for some, this does not make sense at all, especially if you are trying to have a state-of-the-art audio system. Choose a receiver that is stylish, which will provide an added appeal to your dashboard. Also, make sure that it can offer wireless or wired integration with your devices, such as your phone or any other possible audio source. By choosing one with Bluetooth technology, you can also enjoy hands-free calling as you drive. Now that you have replaced the receiver, the next thing that you have to do is to find a replacement for your current speakers. For the receiver to deliver better and more powerful sound, you have to choose speakers that could do exactly the same. 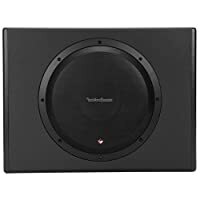 There are many aftermarket speakers that can prove to be affordable alternatives for creating immersive sound in your car. The highs, bass, and treble, among other details of sound, will be more apparent if you choose to upgrade your car speakers. Aside from the technical specifications of the speakers, you also have to consider their aesthetics. Choose one that looks cool and stylish. Some even have lights on them. The choice for design will vary largely based on individual preferences. Click here for recommended best car speakers. The next step in upgrading your car stereo system is to invest in an amplifier, which will be effective in terms of adding more power. This is added by many to add an element of crispness to the sound. It increases the precision of the signals sent to the speaker, which means that it is going to be vital in terms of delivering sounds with superior clarity. Meaning, you will be able to hear the detail in the music and appreciate even the background instruments that are used. The amp will complement the power that can be provided by your speakers. Bass is another factor that is critical in overall sound quality. 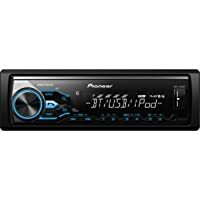 If you are looking forward to hear more powerful bass, the next thing that should be done in upgrading your car stereo would be the addition of a subwoofer. Aside from bass, it can also be effective in adding depth to your music. You have to make sure that it is compatible with the amp that you have in your car. There are also options for a powered subwoofer, which means that there is already a built-in amp. 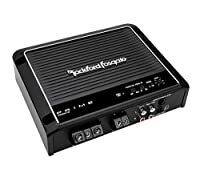 To finish your car stereo system, the last thing that you can consider doing is the installation of an amplifier that is dedicated for your subwoofer. This is an optional step and can be skipped if money is an issue. However, if there are no budget constraints, doing this will surely not lead into regrets. It is going to be an excellent way to have better audio. It is always be a party inside your car with the addition of a mono amp. In sum, upgrading your car stereo system does not need to be difficult. Follow the steps mentioned above. You can do it one-by-one, depending on your budget. At the end of the day, once the upgrades are complete, you will notice a different kind of experience when you are listening to music. Forget about the factory stereo systems and have it upgraded now!